The final supermoon of 2019 will land the night of Wednesday, March 20. It's the finale in a line of three consecutive supermoons that included January's lunar eclipse and a February supermoon that was the largest we will see the moon from Earth this year. March's won't be the biggest and best of the year, but it is your last opportunity for a calendar year to see the moon this brilliantly lit up in the sky. Despite the moon being just slightly larger than usual, it's worth watching. You won't spot another supermoon until March 2020. 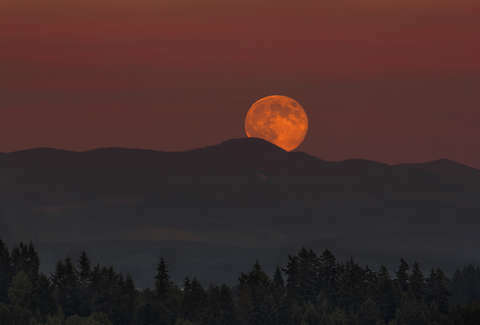 That will be the start of another set of three consecutive supermoons, similar to what we have experienced this year. So, if the trio of exemplary full moons is making you feel like you can catch one anytime, know that it'll be a bit before the moon is once again this close to Earth.